Water is crucial for people who practice Jiu Jitsu. The “Eat. Sleep. 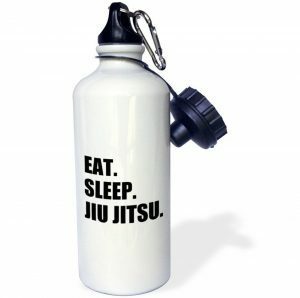 Jiu Jitsu.” water bottle makes for a great BJJ gift for the people who are proud Brazilian Jiu Jitsu practitioners. Included with the bottle are 2 caps. One cap for quickly drinking on the go and the other is a standard twist off.